Worcester, MA – The Worcester Railers Hockey Club (@RailersHC), proudECHL (@ECHL) affiliate of the New York Islanders (@NYIslanders), and Railers HC General Manager and Head Coach Jamie Russell (@JamieRussell18) officially announced today that the club has signed defenseman Ivan Chukarov (@chuk1395)to an ECHL contract. Defenseman Ivan Chukarov joins the Worcester Railers HC after spending the last four seasons with the University of Massachusetts – Amherst. 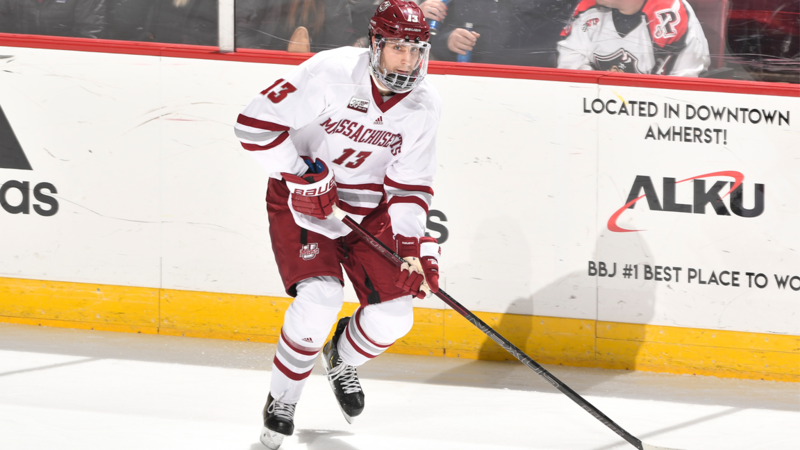 The 23-year-old Des Plaines, Illinois native recorded six goals and 19 assists for a total of 25 points along with 88 penalty minutes in 128 career games for UMass Amherst. The 6’3” 200lb defenseman was originally drafted by the Buffalo Sabres in the seventh round of the 2015 NHL Entry Draft (182ndoverall) and will report to Worcester on Tuesday and will wear #13. The Railers season long seven game road trip continues Wednesday, Feb 20 with a 7pm (ET) faceoff in Manchester, NH vs. the Monarchs. Coverage begins at 6:35pm (ET) on 98.9 NASH Icon.